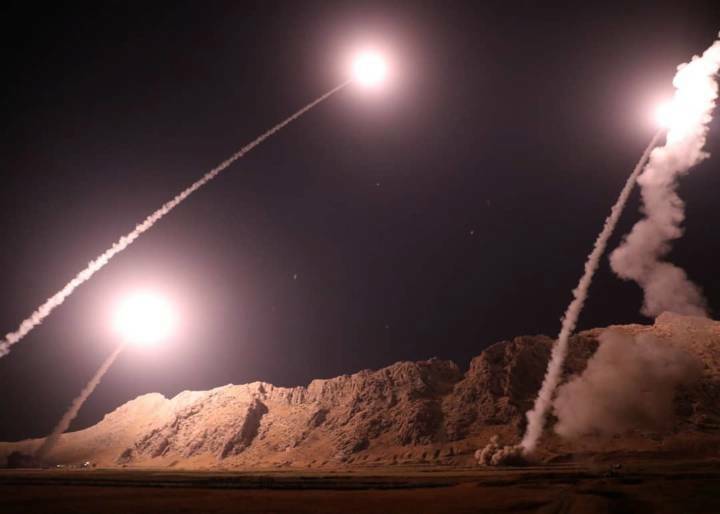 KERMANSHAH: Iran fired missiles on Monday at militants in Syria it blamed for an attack in southwestern Iran on Sept. 22, the Revolutionary Guards said, in what it called a sign of Tehran’s readiness to punish its enemies’ “wickedness”. Tehran has accused U.S.-backed Gulf Arab states of carrying out the Sept. 22 shooting attack on a military parade that killed 25 people, nearly half of them members of Iran’s elite Revolutionary Guards. Monday’s strike targeted the bases of “takfiri terrorists” backed by the United States and regional powers in eastern Syria, the Guards said in a statement on Sepah News, their official news site. It killed a number of militant leaders and destroyed their supplies and infrastructure, they said. Iranian officials often use the word “takfiri” to describe Sunni Muslim hardliners. Iran is predominantly Shi’ite Muslim. The strike targeted the last pocket of territory in southeastern Syria held by Islamic State, said an official in the Iran-backed regional alliance fighting in support of Syrian President Bashar al-Assad. It is an area where the U.S.-backed Syrian Democratic Forces (SDF) launched a new offensive last month against Islamic State. The U.S.-led coalition confirmed Iranian forces had conducted “no notice strikes last night”. The six ballistic missiles used in the attack flew 570 km (354 miles) to hit the targets, the Guards said. A map shown on state TV pinpointed Kermanshah in western Iran as the launch site and Albu Kamal in southeast Syria as the target. “Our iron fist is prepared to deliver a decisive and crushing response to any wickedness and mischief of the enemies,” the Guards, the most powerful military force in the Islamic Republic, said in their statement.